Our aim is to create an ordered and orderly environment in which pupils can, through developing self-discipline, feel secure and make progress in all aspects of their development. be constantly aware of good pupil response and behaviour, acknowledge it as a matter of course, at an individual, group and whole class level. Every child is subject to the Code of Behaviour respecting the need for differentiation as appropriate for the child with Special Needs. Pupils are subject to the Code of Behaviour for as long as they are on the premises of Scoil Cholmcille or in the care of staff of Scoil Cholmcille outside of the school. If parents choose to send their pupils to school before the start of the official school day (9.20 a.m.) the Code will apply. The Code will be reviewed on an annual basis. 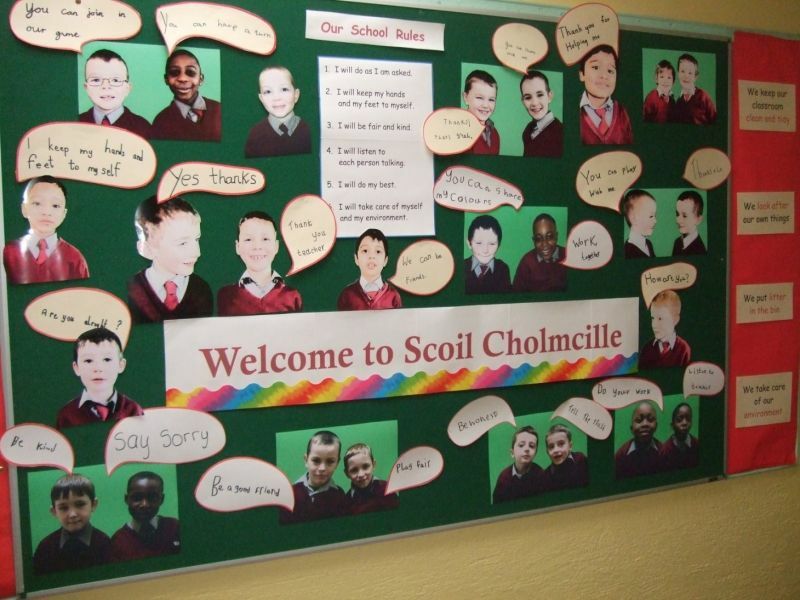 Scoil Cholmcille has a focus on praise and encouraging good behaviour. We recognise that positive influences improve behaviour, motivation, work rate, morale and group dynamics. All praise and incentives are aimed at rewarding and encouraging the behaviour that we are trying to foster in the children. 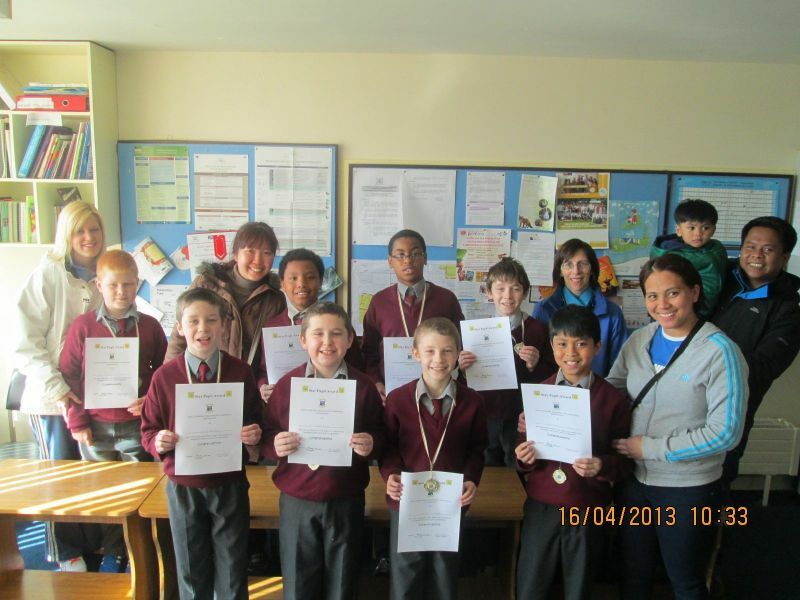 The school also recognises that children need to see what is the outcome of behaving well. As a staff, we have agreed to use a wide and rich menu of daily, weekly and monthly rewards and incentives at both classroom and whole school levels. 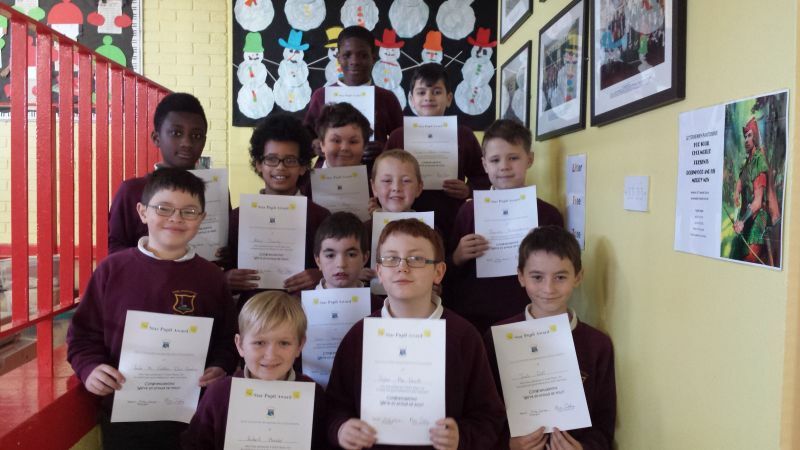 Pupils will be instructed on the Code in September of each year. I do as I am asked. I keep my hands and my feet to myself. I will be fair and kind. I will listen to each person talking. I will take care of myself and my environment. Do be gentle. Don’t hurt anyone. Do work hard. Don’t waste your or other people’s time. Do be kind and helpful. Don’t hurt people’s feelings. Do be honest. Don’t cover up the truth. Do look after property. Don’t waste or damage things. All jewellery e.g. chains, rings, earrings not permitted and should not be worn. The use of Tippex and Steel rulers is banned in the school. In light of recent adverse national publicity regarding the abuse of using mobile phones in schools (cyber bullying, YouTube images, videoing others without their consent or knowledge) this school does not permit mobiles to be brought onto the school grounds. Pupils are requested to address teachers and SNAs by using their title (Mr. Ms./Mrs) and surname. Differentiation and need will prevail as appropriate. We are very proud of our school uniform. Pupils are expected to wear the full school uniform every day except on P.E. day when tracksuits are allowed. Communication with Parents (includes meeting with parents, if necessary). Suspension/expulsion (in accordance with National Education Welfare Board Guidelines, (2008) and Rule 130 of the Rules for National Schools as amended by circular 7/88). The degree of misdemeanours i.e. minor, serious or gross, will be judged by the teachers and/or Principal based on an agreed framework that distinguishes the gravity/repetition of such misdemeanours. Sanctions have also been devised to match the grade of the misbehaviours. In Scoil Cholmcille we have a framework specific for Infants – 2nd class and a more stage appropriate framework for 3rd – 6th classes. Infants – Second Class: Littering classrooms, annoying others, running on corridors. 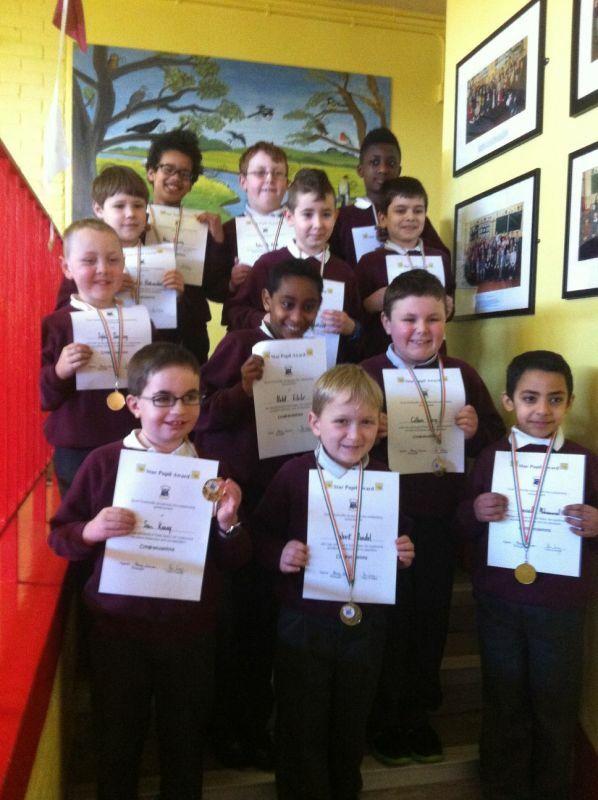 3rd-6th Classes: Distracting others in class, incomplete homework, leaving seat without permission. Note in homework journal to be signed by parent. Class teacher to meet one/both parents/guardian for regular occurrences of minor misdemeanours. Infants – Second Class: Bad language, constant disruption, leaving the classroom without permission. 3rd-6th: Back answering a teacher, bullying behaviours, aggressive behaviours. Red/black x can be removed for improved desirable behaviour. Meeting with parent or Principal, if no improvement shown. Infants – Second Class: Aggressive, threatening or violent behaviour towards a teacher/pupil. 3rd-6th Classes: Physical Aggression, violent behaviour towards a teacher/pupil, leaving school grounds without permission. Middle Management/Senior Management and Principal involved. Suspension of up to three day period to follow. Repeated suspension will occur in certain circumstances to a maximum of 20 days. The National Education Welfare Board officer will then become involved. Expulsion will be considered in an extreme case in accordance with Rule 130 (6). It should be noted that these lists consist of examples only. Repair work that integrates the child back into classroom and school life will take place on the first day of readmission to the school. A parent/guardian who wishes to make a complaint is advised to approach the class teacher with a view to resolving the complaint. If the complaint is still unresolved the parent/ guardian should raise the matter with the chairperson of the board of management with a view to resolving it. The school adopts the CPSMA/INTO parental complaints procedure. Bullying: I should never bully others. I should never allow others to bully me and if it happens, I should tell my parents and my teacher. Bullying is always unacceptable. 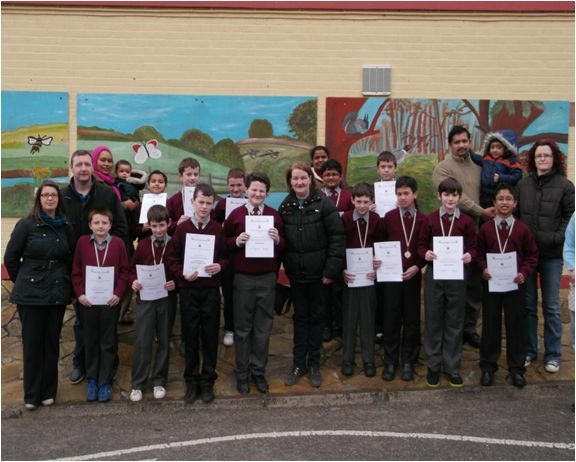 Scoil Cholmcille is a ‘bully-free’ zone. All reports of bullying should be noted, investigated and dealt with by the class teacher so that pupils will gain confidence in telling. Class teacher is to liaise with the school’s Care Officer (designated staff member)who will monitor the situation , meet with the pupils involved and teacher, report to Principal on a fortnightly basis regarding progress. A special incident file will be kept for this purpose only by the Care Officer. Parents will be informed by the Deputy Principal/Principal earlier rather than later. Parents can make their enquiries regarding bullying to the class teacher who after an initial investigation will liaise with the Care Officer. Individual teachers should record and take appropriate measures in accordance with policy. Answers should be sought to questions of What, Where, When, Who and Why. Members of a group should be met individually. Meet parents of parties involved. learning skills are taught in the Stay Safe/RSE programmes, promotion of Friendship Week (October each year) focussing on anti-bullying. Pupils are taught strategies to empower them to build self-esteem and to instruct them on how to report incidences. School Closes: Junior/Senior Infants 2.00p.m. Parents are strongly advised to take an active interest in their child’s homework and to sign their homework journal each night (ensuring that it is done). oral and written homework for 1st and 2nd classes on Monday, Tuesday and Wednesday nights. oral homework only for 1st and 2nd classes on Thursday night. Parents will be contacted if the incompletion of homework persists into a second week. If in the event of no improvement a second letter will issue immediately requesting parents to attend a meeting to discuss the issues with the class teacher. Children will thrive if encouraged!